Membership dues in 2017 will be subject to an annual 2% increase as approved by TIABC’s Board of Directors. The rate adjustment reflects the average annual Canadian inflation rate. The membership fees below reflect the 2% increase. A Tourism Business membership with TIABC is based on the number of employees. In addition, there is a new category for self-employed tourism businesses of one employee. A Sector Association membership with TIABC is based on the membership revenues earned by the sector association. A Regional Destination Marketing Organization (RDMO) / Destination Marketing Organization (DMO) / Chamber membership with TIABC is based on the size of the organization’s budget. 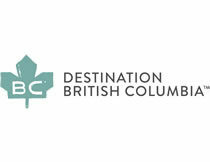 This annual membership is available to any student enrolled in a tourism-related educational program in British Columbia. Students do not receive voting privileges at TIABC’s AGM, but do receive member discounts to events.